Romantic symbol of the Renaissance period. 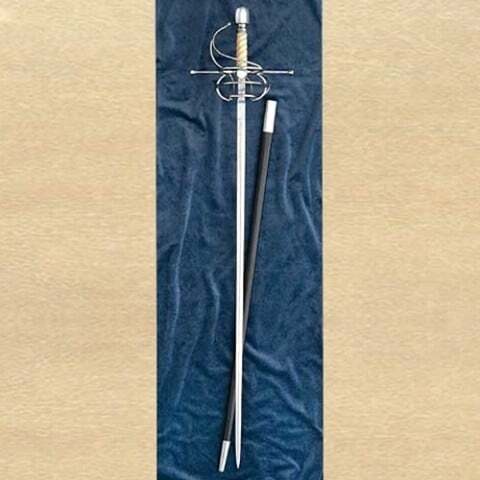 Efficient hand-to-hand combat weapon with graceful, artistic lines. Perfectly suited for swift moves during a duel. 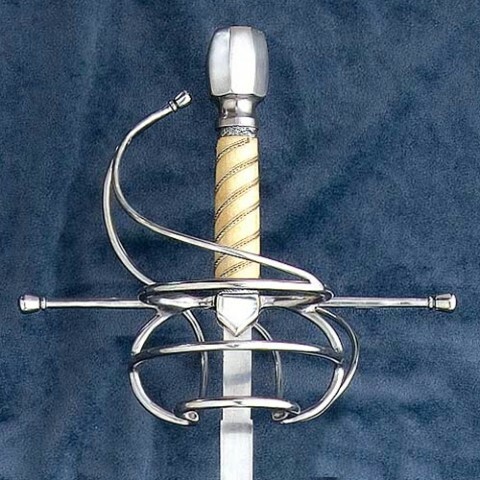 Three ringed swept hilt with a wire wrapped bone grip. Suitably tempered blade 99cm x 2cm x 0.5cm. Overall length 117cm. Weight 1kg.